1908 view from High Street looking west down Broad Street. Post card from Alex Campbell Collection. The Columbus & Xenia Railroad built into Columbus in 1850. 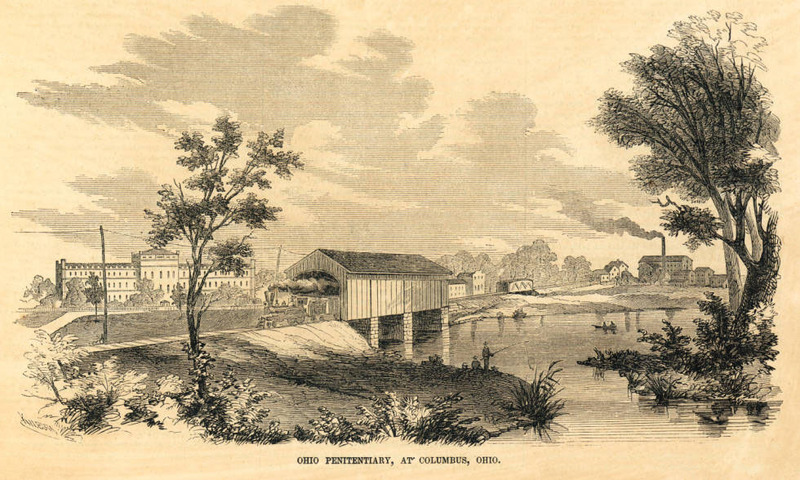 It immediately faced two obstacles – crossing the Scioto River and building a depot. While these problems were being resolved a temporary station was established on the west bank of the Scioto River. Passengers crossed the wooden Broad Street covered bridge (not shown here) for the two block walk up hill to State House Square. 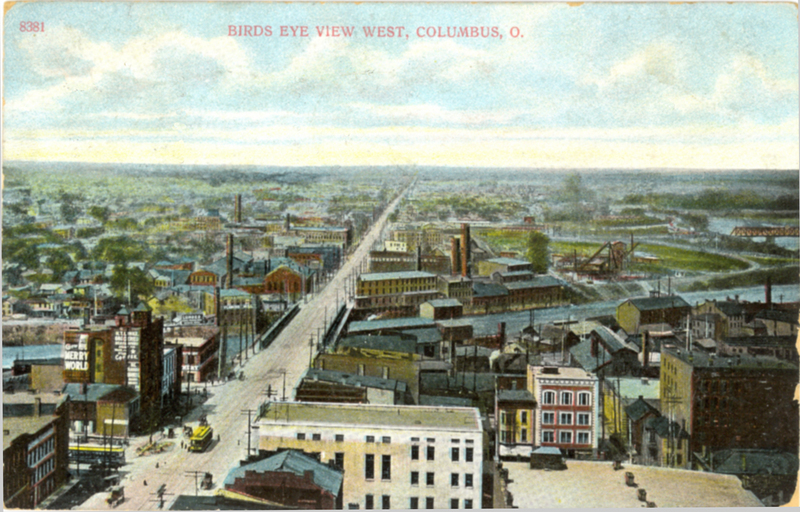 While the 1908 postcard is 58 years after that first train note how narrow the Scioto River is and how built up the west side has become. In five years the 1913 flood will decimate the west side area known as Franklinton. 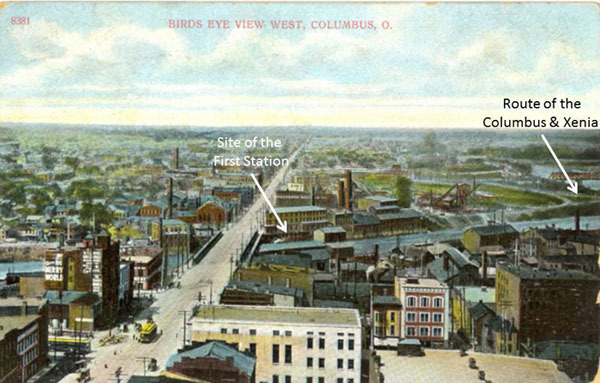 By 1908 the site of that first station will be transformed into a facility for the Columbus Railway Power & Light Co. It will include a stores warehouse, stables for horses used in construction and a base of operation for the meter department. The 1913 flood will change the area with the widening of the river channel causing the removal of many buildings. An 1850s engraving of the Columbus & Xenia Railroad crossing over the Scioto River with the Ohio State Penitentiary in the background. The Penitentiary was built out in the country. That isolation would not last. Engraving published 1857 in Ballou's Pictorial from the Ohio Memory Collection.